Search engine optimization or SEO is one of the most important things any business could do to generate more leads. Not being visible in Google is without a doubt costing your business exponentially. You are essentially letting your competition have all the new customers searching for you on Google. 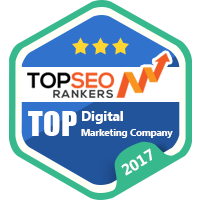 One of the services we provide at Redmond digital marketing agency is SEO or search engine optimization. In today’s world, most of the website traffic is limited only to the initial few search results in Google, with the rest being trickled down through the chain with less and less traffic falling to every website the further down you go. We specialize in knowing what it is that a person would be looking for when searching online for businesses like yours. Then we optimize and enhance your website to get it found for exactly that. One of the main reasons why this is so important is that if a website is not on the first page of Google it is as if the website does not exist at all. The amount of traffic that websites on the second page get is next to nothing and it is very hard for a business to survive on that. By hiring one of the top advertising agencies, you are not only ensuring the survival but the prosperity of your website. We will not only get you as close to the top as possible but we will be constantly working to keep you there, so you can flourish and make it to the top in your relevant industry.